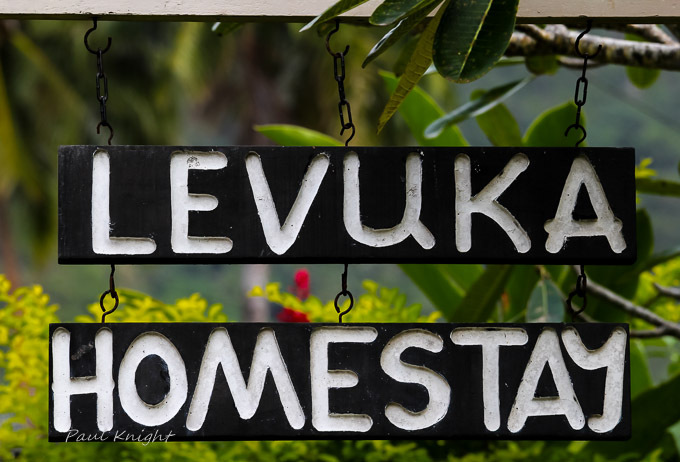 During your stay in Levuka, you might just run into some of the following people. Don't be afraid to greet them by name. Just enjoy the look of surprise on their faces. 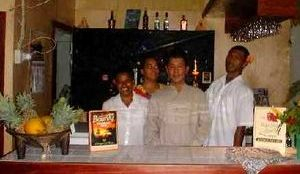 The staff at Kim's Paak Kum Loong Resataurant ready to serve you with fine Chinese, Fijian, Indian and European food. 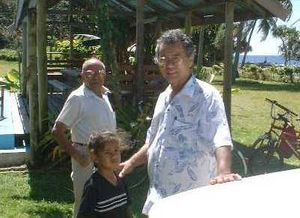 Henry Fong and Mr. Hargovind on a Sunday visit at the Ovalau Holiday Resort. Peter Leake is a long term resident of Levuka. His association with the town goes back over thirty years. 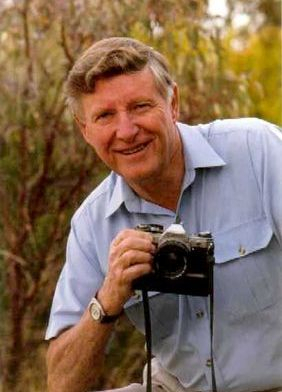 Peter is a professional photographer whose photos appear on many Levuka postcards. The local portrait photos on the walls of his home are excellent. If you get the chance to meet hiom, then sit and have a chat with him - he will regale you with many stories about his time in Levuka. 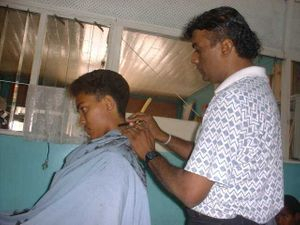 In Levuka, we have several hairdressers, but there is only one Mahesh. 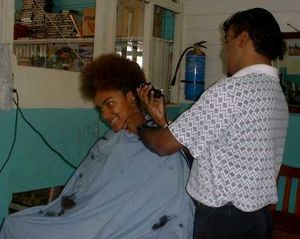 He cuts everyone's hair, whether they be Fijian, Indian, Chinese or European, young or old, male or female - it's not a problem. He has many stories to tell, amd you will always leave the chair with a smile on your face. You will notice some newspaper clippings on the wall of his "salon" about the Asterix band. They are well known throughout Fiji and have been around for many years. Yes, Mahesh is is the keyboard player - just another of his talents. They don't play much these days, but Mahesh has plenty of good stories to tell about their musical journey. But there's more! Mahesh used to work as a press photographer. 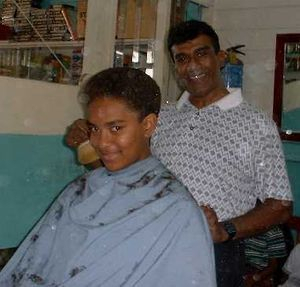 So if you want still photographs or videos taken, see Mahesh or his brother at the Lomaiviti Studio (at the front of his "salon") for professional service and advice.